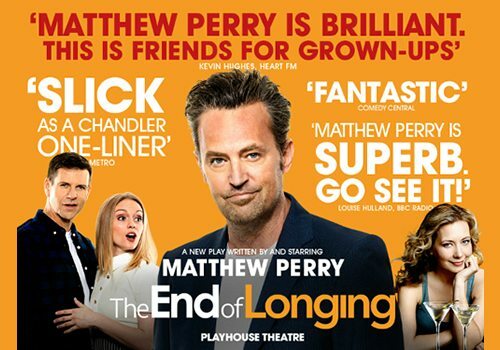 Best-known for his role as Chandler Bing in Friends, Matthew Perry writes and stars in his debut play The End of Longing, which is set to open in at London’s Playhouse Theatre in February 2016. 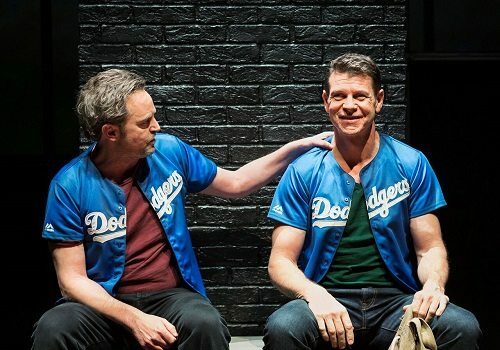 Directed by Lindsay Posner, The End of Longing marks his and Perry’s reunion, as they previously worked together on Sexual Perversity in Chicago in 2003. Posner’s most recent project was Speed the Plow, starring Lindsay Lohan, his previous credits including Uncle Vanya and Hay Fever. Following Jack, Stephanie, Joseph and Stevie, The End of Longing is a discovery of what it means to feel lost when entering your forties. After sharing a wild night together in a downtown LA bar, the four become irreversibly tangled and are forced to confront the sinister sides of their relationships. Perry has worked on numerous films and TV shows, including Mr Sunshine, Go On and The Odd Couple – he even had a cameo in Courtney Cox’s show Cougar Town. His film credits include 17 Again, in which he starred alongside Zac Efron. The End of Longing marks his first return to the West End since 2003. Perry stars as Jack, Lloyd Owen as Joseph, Christina Cole as Stevie and Jennifer Mudge as Stephanie. The End of Longing is designed by Anna Fleischle (Hangmen) and lighting will be designed by Lucy Carter. A hilarious dark comedy, The End of Longing is bound to be one of the most anticipated openings in the new year, which makes it an event not to be missed! 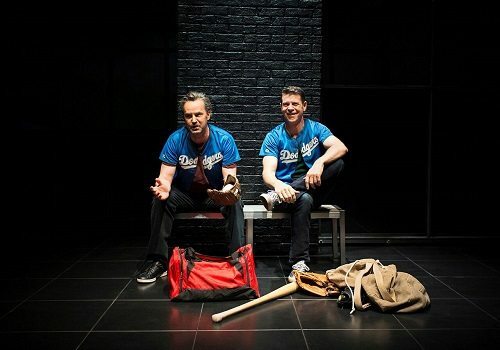 Opening at the Playhouse Theatre, the play will run from February 2nd until May 14th 2016. Containing adult themes which may not be suitable for children.